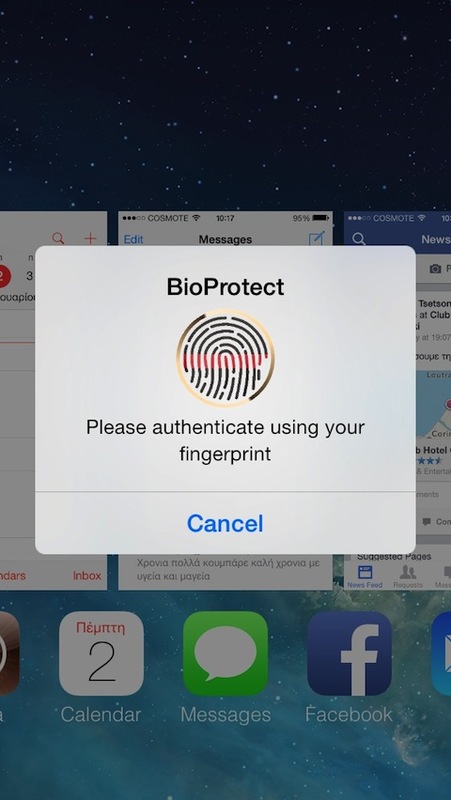 Protect your apps with Touch ID or passcode! The most secure and yet fastest way to protect your applications, presented with a very cool UI. 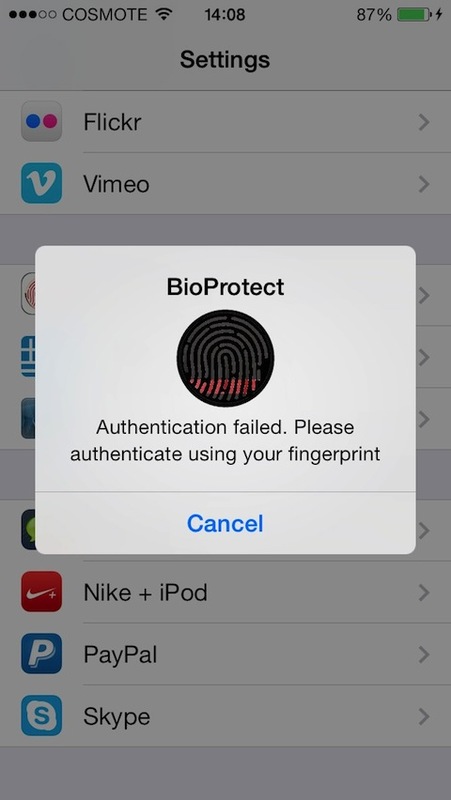 Touch ID needs less than a second to verify a correctly added fingerprint! 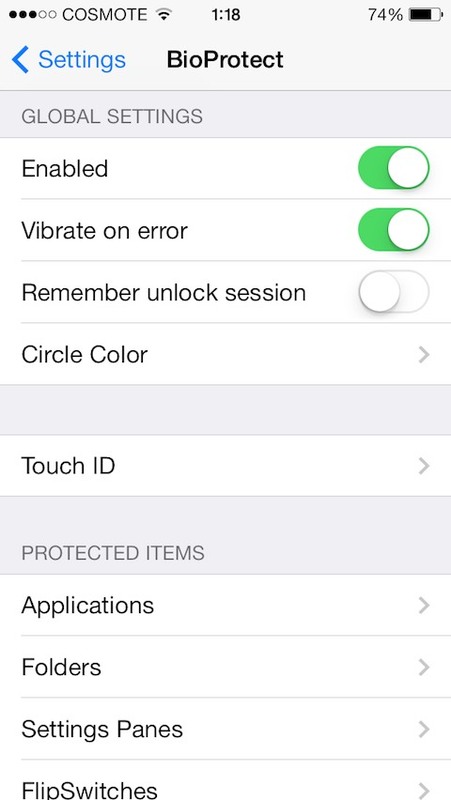 The tweak listens to application launch events or other protected items events and blocks them if they are listed as protected until you enter your Touch ID (or passcode)! 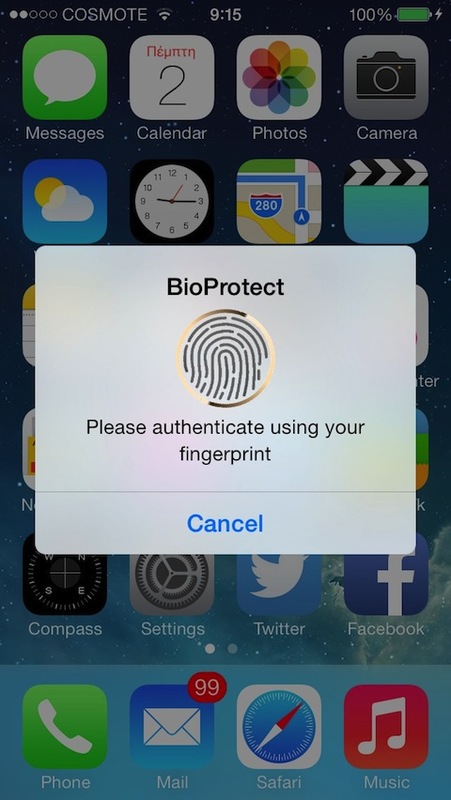 You can configure it to protect access to applications, folders, settings panes, flipswitches, control center items, power down, SIM unlock and more! Enjoy the fastest and yet most secure protection!